The Mall at World Trade Centre Abu Dhabi is offering the first 50 shoppers who spend Dh100 or more at any of the food and beverage outlets, receive a bouquet of flowers to gift their mother. Daily until Saturday. The duo of Phuong and Charles Siegling that make up Technasia, catapulted into the public eye with their hit Suga. They perform at Five Palm Jumeirah’s The Penthouse. Pre-Party brunch includes unlimited house beverages and tunes from resident DJ NSI, 9-11pm. Three food options to choose from, starting from Dh149 for women and Dh249 for gents. Honour the festival of Nowruz, (the vernal equinox) with a set menu priced at Dh450 for two, at Enigma, Palazzo Versace Dubai. Fusion eatery Sikka Cafe in City Walk, La Mer and Last Exit Al Khawaneej, is serving all mums a free dish of equal or lesser value when they order a la carte and will also give away an assortment of freshly baked cookies. Treat your mum to a day of relaxation at Jasmine Spa, Grand Millennium Dubai Barsha Heights, offering a combined 60-minute massage or 60-minute hammam and 45-minutes yoga session for Dh199 or a 90-minute massage and body scrub for Dh245. Call 04-4234112. 800 Degrees Pizzeria in Mall of the Emirates and Me’aisem City Centre, is treating mothers to specialty pizzas or pastas for free, while dining with the family. From 10am to 10pm. Celebrate Mother’s Day with a family dinner at Kenza, Ramada by Wyndham Downtown Dubai. Each family will get a free photo souvenir, children can also make personalised greeting cards at the activity corner. Dh149 per person, 7-11pm. Kids aged six to 12 get 50 per cent discount while children five years old and below dine free. Call 04-3307330. Treat your mom to a special seafood buffet dinner or a relaxing and soothing spa massage at Ghaya Grand Hotel. Mothers get to dine and have a massage for free with a purchase of equal of greater value. Recapture your childhood memories with your children at the launch of Chat Perche, 4-7pm at the Dubai Mall branch. Children’s art and crafts activities will be organised in store. A two-hour flower arrangement workshop paired with a healthy breakfast, making for a Mother’s Day treat. At Aspen Lounge, Kempinski Hotel Mall of the Emirates, on Thursday mornings from 9-11.30am, starting today. Dh290. Call 04-4095999. Fuchsia Urban Thai will be giving out the Thai dessert Mango With Sticky Rice, free for all mothers that dine throughout the day, at both Tecom and Bay Square locations. Call 04-4253080 . 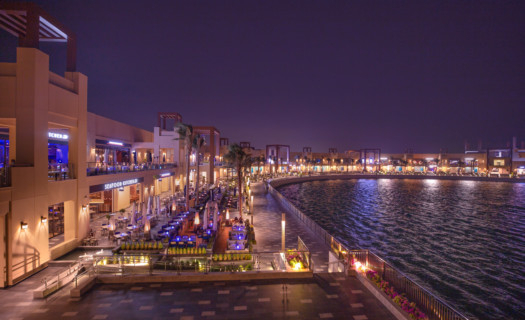 The floating Indian restaurant at Al Seef is offering mothers two free beverages, while dining. Call 04-3885555. Pantry Cafe has collaborated with Peppermint Dubai, a floral design company, to give free flowers to every mother who orders a starter or a dessert. Today and tomorrow. Pick a muffin bouquet from Eat Cafe and Kitchen (Dh295), and customise it with different colours, shapes, flavours and sizes. They will also host a pregnancy morning on March 26 in collaboration with Real Mums of Dubai, where expectant moms will have the opportunity to browse a range of baby products and seek advice from experts. At Kenny Rogers, get a free KRR Magic Mug with every purchase of Kenny’s Quarter Meal. A new creation to honour mothers, delightfully sweet, Harmonie, is a crunchy pistachio pastry with hazelnut biscuit crust topped with pistachio mousse and strawberry compote. Available for a limited time until March 25. At The Dubai Mall and Zero6 Mall, Sharjah stores, Dh49. Siddharta Lounge By Buddha-Bar has poped-up at Waldorf Astoria Ras Al Khaimah. Today, dine and dance with four hours of free flowing beverages and unlimited dishes, accompanied by beats from DJ Venus. Dh249, from 8pm to midnight. Al Dente and Casa Samak have prepared a special mums day three-course set menu for Dh99 per person. The offer also includes buy-one-get-one on beach and pool access. Also a 45-minute massage for her at Dh100.